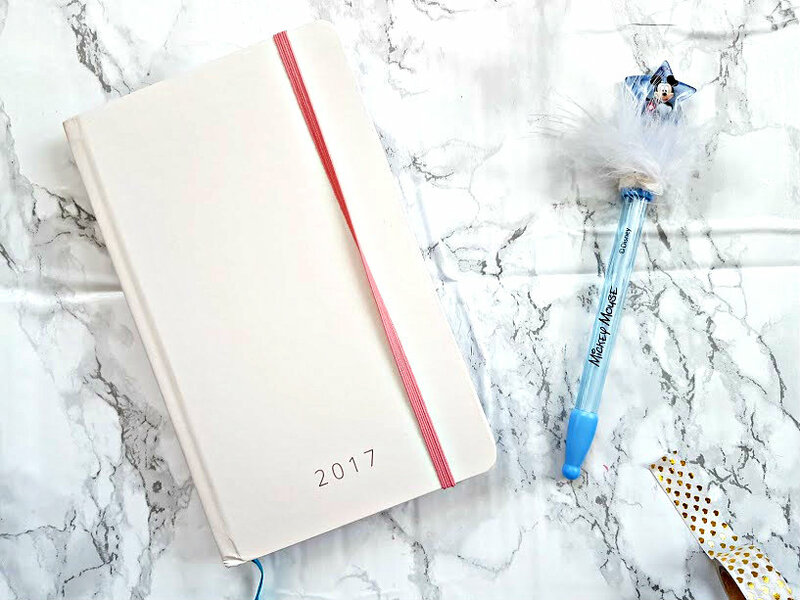 As a blogger, you can never have too many diaries/notebooks. They are all really pretty to look at, use and as decoration. The latest one that I have added to my collection, is the Feel Unique Beauty Diary. 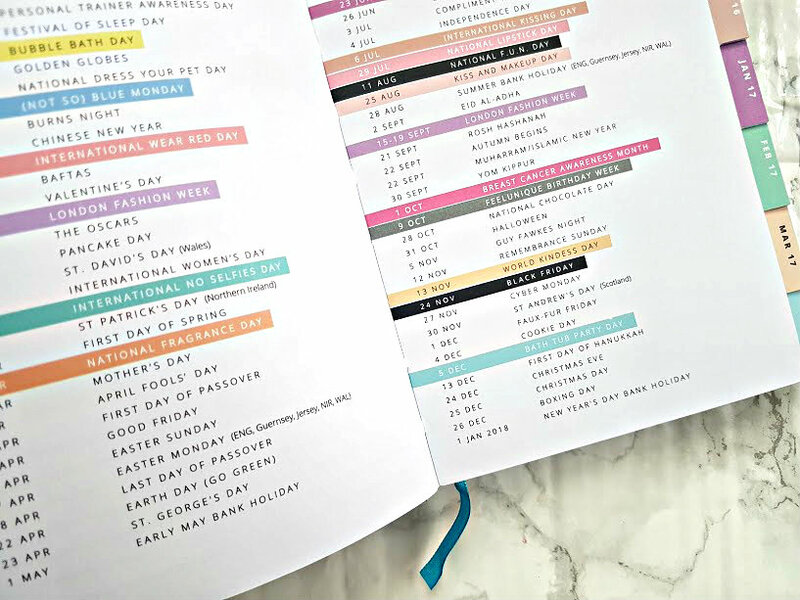 Unlike any other diary that you own, its filled with everything a beauty junkie needs in their life and looks so freakin' cute. 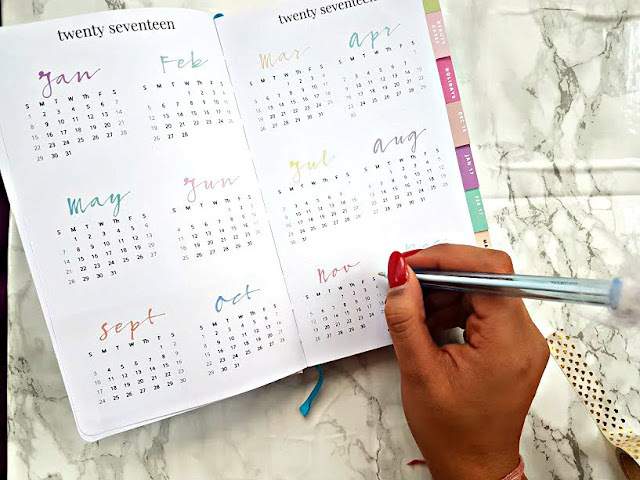 The font is all fancy, the colours are pretty and its amazing at keeping you on track this year. Happy New Year to you all as well!! Its safe to say that I am obsessed with this diary and will be using it everyday this year. The diary itself is a gorgeous pale pink/peach colour, its a slim diary to make it easy to place in your bag yet is A5 and perfect to write your entire life in. When you open it up there's your personal info page, a yearly overview and then a dates to remember page. 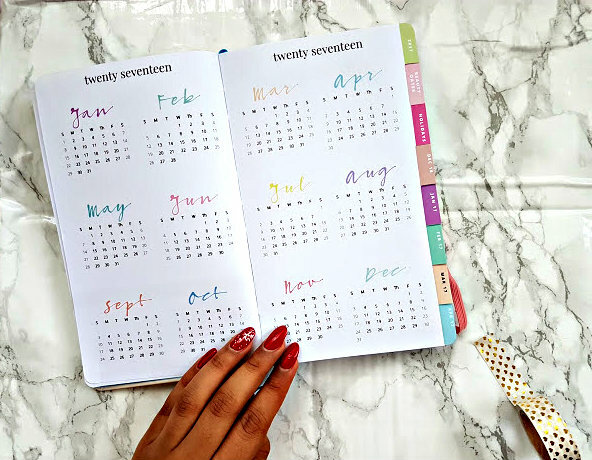 This page includes everything from national lipstick day to national no selfie day - perfect to keep up to date with the new trends, there is however no Diwali date in there?! But every other occasion - will have to ask someone about this!! Then we go into each month, tabbed with a different colour yet organised exactly the same. It starts with a notes/doodles page, this is perfect for when you daydream and need to remember something super important. It then follows onto a skint..not skint page, which is my favourite thing about the diary, along with the pretty fonts. 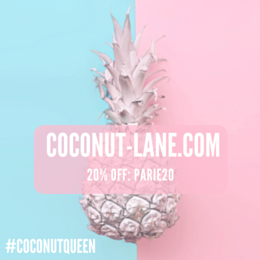 Its a chance to keep your finances in check and that expensive shopping habit at bay. Hopefully, I can keep on top of this and it will help me save up a bit more money! 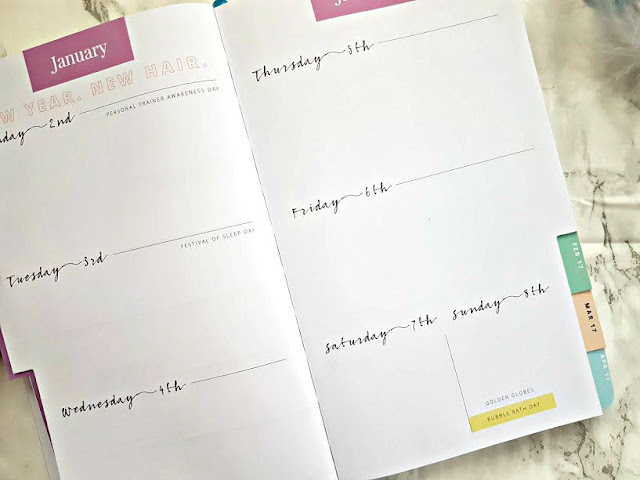 There's also a month at glance before the weekly spread begins, each months comes with a cheeky and rather dangerous discount code from Feel Unique. 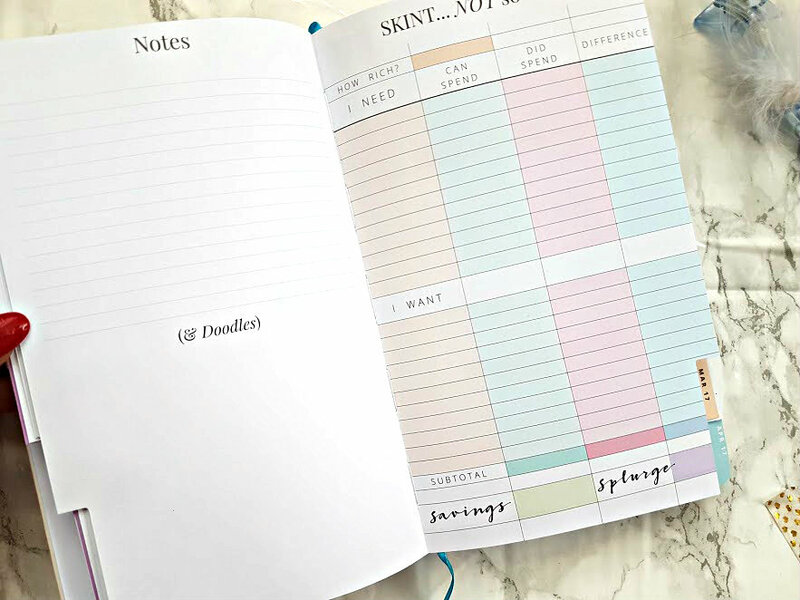 Such a different twist on your traditional diary. 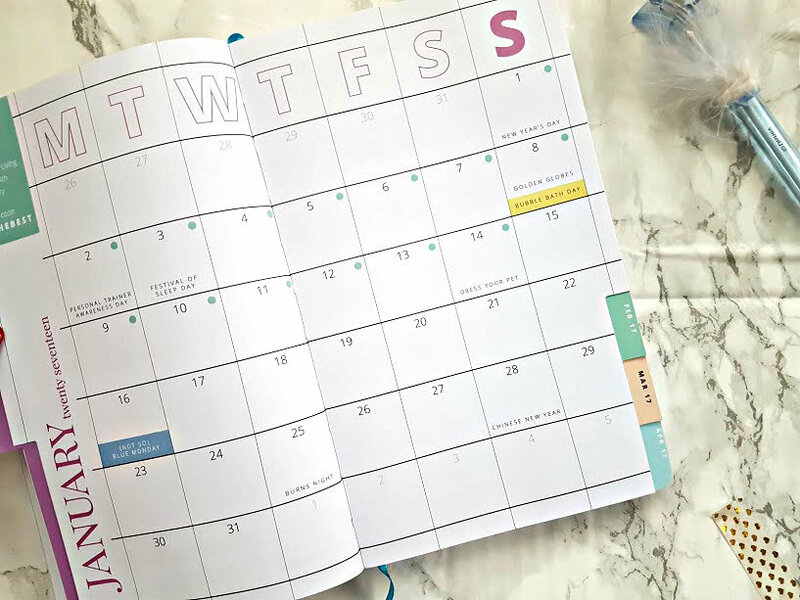 The diary is then set in a weekly format, which is my favourite kind of diary - it allows me to see what I have coming up and need to do asap. Every so often, there's a quote or something special to read and really makes it personal. Hiding at the back of the diary is stickers, I've only just found these, hence why I haven't pictured them - oops. But the stickers include ones for your hair appointment, nails, to do and when you need to ring your nan. I think my sticker addiction is going to make another apperance. I didn't want to give too much away, just in case you are wanting to purchase one for yourself. They retail at £15 and are worth every penny. Feel Unique have done amazingly well with this one and I am very much in love!